Almost four million visitors each year visit 60 of Baden-Württemberg’s monuments and enjoy their very special atmosphere and the range of varied activities on offer there. Free open days, special guided tours, culinary demonstrations, garden walks make these special places come alive with stories from the past. Anyone wanting to make the most out of Baden-Württemberg will soon realize they’ve come to the right address at Staatliche Schlösser & Gärten (SSG), the state heritage preservation agency for the state of Baden-Württemberg, or SouthWest Germany. The agency is responsible for 60 historic monuments that it maintains, develops and opens to the public. They include famous places such as Heidelberg Palace but also hidden gems such as the Palace and Palace Gardens in Schwetzingen, only 20 minutes from Heidelberg; the well-known Ludwigsburg Residential Place outside of Stuttgart as well as the lesser-known but no less stunning baroque gardens of Weikersheim Palace; the World Cultural Heritage site of Maulbronn Monastery as well as the luxurious Salem Monastery and Palace on Lake Constance and the Hohentwiel Fortress Ruins. Each estate has its own special stories that make each visit memorable as the past come alive with the lives of noble families, kings, queens and their followers. Heidelberg Palace, the most famous palace ruin anywhere in the world, is the “flagship” of the Baden-Württemberg monument landscape and has more people visiting it than any other monument in the federal state. Its ruins are some of the most romantic in all of Europe ranging from the Elizabeth Gate constructed overnight by Ludwig V for his wife, Elizabeth Stuart to the façade of the castle which is brilliantly lit up four times each year in an enormous display of Bengal fireworks. The palace has cafes and a newly opened restaurant with one Michelin star. Only 20 minutes from Heidelberg is the lesser-known summer palace of Schwetzingen with its extensive formal gardens, allees, and park. One of the most beautifully planned gardens in Europe, it also has a stunning restaurant open to the public which is well worth the visit especially during asparagus season. Hidden by enormous hedges, an outdoor stage is carved from a grotto where the nobles would gather and stand for hours while the king and queen sat and watched the plays. The UNESCO monument of Maulbronn Monastery has a much different story as it was, and still is, a Protestant school. Today, it hosts concerts, culinary demonstrations, wine tastings and architectural tours. The Cistercian monastery in its rural tranquillity has been included on the UNESCO World Heritage List on account of its well-preserved architecture and history. Other outstanding examples of church architecture, include the resplendent monasteries of Upper Swabia, such as Wiblingen, Schussenried and Ochsenhausen and the impressive medieval complexes, including the monasteries of Bebenhausen and Alpirsbach, and the grandiose castles and ruins of fortresses, such as Hohentwiel or Hochburg. At a time when celebrations of the Reformation 500 years ago are going on throughout Germany, there is an opportunity to savour this anniversary year in a quite particular way in these castles and monasteries where famous events occurred. Heidelberg Palace is an example as it used to be the residence of the prince electors of the Palatinate, who espoused the Reformation at an early stage. It was here that the Heidelberg Catechism was compiled at the behest of the prince elector – and it has retained its validity through to the present. In the 16th century, the palace was the glittering stage of the powerful protestant prince electors. In Maulbronn Monastery, the Duke of Württemberg established a school in the former Cistercian monastery after the Reformation. In doing so, he marked the beginning of a pioneering tradition, which has continued through to the present. In those regions that did not go along with the Reformation, the Counter-reformation gave birth to an artistic movement, whose stated aim was to bring heavenly magnificence down to earth. The large monasteries in Ochsenhausen or Schussenried, as impressive edifices of Upper Swabian baroque, bear effective witness to that Counter Reformation. Fourteen monasteries and palaces are playing their part in the theme year and have an open invitation to visitors. Another highlight this year is the reopening of the renovated bel étage in Bruchsal Palace, the former residence of the bishop princes. The reconstruction of the suite of rooms in the bel étage of Bruchsal Palace is now complete and a lost chapter from Bruchsal’s history has come back to life. But more than that: in the 18th century, the prince bishops’ palace used to be one of Europe’s cultural and artistic “hotspots.” During WWII, numerous artistic treasures were taken away for safe keeping, including furniture, paintings and tapestries – more than 350 priceless items – and they are now back in their original positions. It is no exaggeration to say that the collection of valuable tapestries in Bruchsal Palace is absolutely unique. Altogether, there are 38 of them, one of the biggest collections in Europe. The third Sunday in June is Schlosserlebnistag (Experience a Castle Day), and many people make sure it is highlighted in their diaries – not only those living in Baden-Württemberg. It is a day on which all the palaces and castles throughout Baden-Württemberg are open to the public and offer organized events particularly suitable for families. On October 8, the Erlebnistag im Kloster (A Day in the Monastery) will be held. Visitors can find out about the world of the monks and the pupils who studied in the schools that were installed in the monastery buildings later on. Whether large monastery complexes or romantic monastery ruins, whether severe mediaeval chambers or joyous baroque dining halls, the range of impressions is extensive. Every year, the Staatliche Schlösser und Gärten frequently renews its programming and adds new and unusual guided tours. It might be stroll escorted by a lady or gentleman in historical dress, applying all their charms and acting skills in transporting you back to their epoch; or it might be a gourmet tour, during which experiencing history is combined with a culinary extra; or, yet again, it might be a “behind the scenes” program, a children’s event or a walk by candlelight – whatever it is, it will include plenty that’s new or never been seen before. British multi-instrumentalist, songwriter, and producer Jax Jones releases a new track today, “Instruction,” featuring global pop superstar Demi Lovato and British rapper Stefflon Don, via all digital retailers. Listen to the track HERE. The carnival-esque banger “Instruction” follows on Jones’ hit singles “Housework,” featuring MNEK and Chicago house legend Mike Dunn, and “You Don’t Know Me,” featuring fellow South Londoner Raye. “You Don’t Know Me” has racked up more than 208 million global streams on Spotify. It also hit No. 1 on the Shazam Dance chart and peaked at No. 40 at Top 40 radio. Jones is currently the 106th ranked artist in the world on Spotify. Jones takes his inspiration from the hip hop, grime, and house music he was surrounded by in his teenage years. At 16 he was thrown out of the family home and start making grime on an old PC in his friend’s garage, where he lived at the time. These influences come through both in the studio and in his incendiary live sets in which he helms all the instruments himself, layering them upon beats and bass for a fresh, modern take on an old school sound. 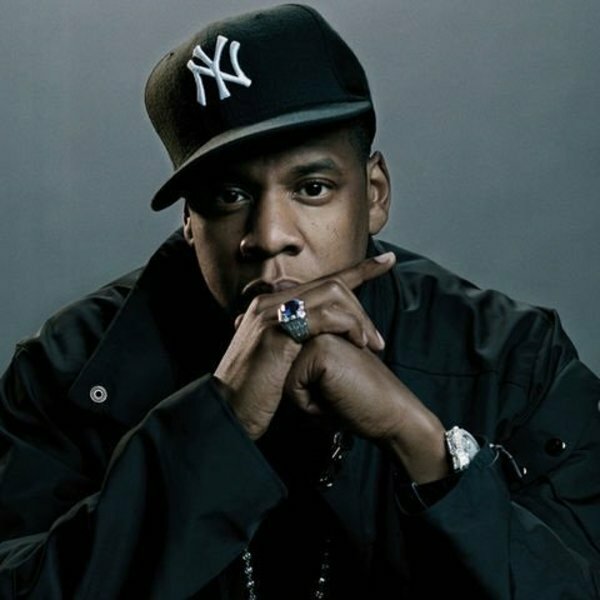 His biggest success to date has been as the writer and co-producer on Duke Dumont’s international 2014 hit “I Got U,” which resulted in Jones’ first UK No. 1, in addition to BRIT and Grammy Award nominations. In addition to producing two more singles for Dumont, Jones recently remixed tracks by Charli XCX, Lil Yachty, and Missy Elliot and Pharrell. Jones is currently working on his highly anticipated debut album. 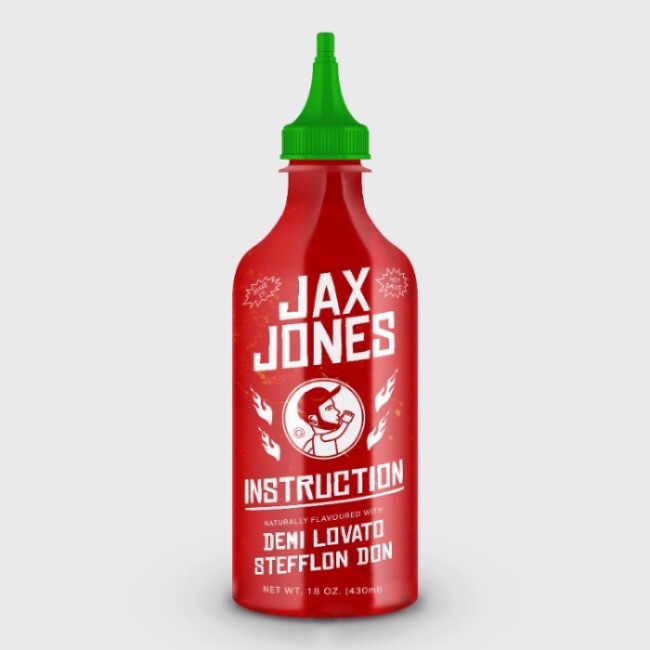 STREAM JAX JONES “INSTRUCTION” FEAT DEMI LOVATO AND STEFFLON DON HERE. London-based five piece Junior Empire release their debut EP, Junior Empire, today on Harvest Records – listen HERE. The EP includes the band’s three previously released singles as well as two additional tracks, “I Know” and “Said And Done.” Please see below for the full track-listing. Drawing fans in with their lively performances, Junior Empire performed a sold out show at Folklore in Hackney earlier this year and kicked off the summer with a performance at The Victoria Dalston earlier this month. Stay tuned for more as additional dates will be announced soon. Junior Empire is Jack Balfour Scott, Joey Arnold Zapata, Diego Belmonte, Hannah van den Brul and Jordan Grispino. Racing the Sun is an inconceivable golf experience created to generate awareness and raise supporting funds for Youth on Course and the organization’s national expansion. Six golfers will play four Top-100 courses, in four different U.S. time zones, on the longest day of the year, June 21. The group, which includes top donors and the Youth on Course Executive Director, will Race the Sun and cross the country by chartered jet to play 18 holes at each of the following top-rated courses: Valhalla in Louisville, KY, Prairie Dunes in Hutchinson, KS, Ballyneal in Holyoke, CO, and Shadow Creek in Las Vegas, NV. The Racing the Sun team will tee off at Valhalla at 5:50 a.m. EST and plans to play 18 holes in only 2 hours and 15 minutes at each course – walking with caddies. The team is expected to finish their twilight round at Shadow Creek around 8:30 p.m. PST. Team members have made a large charitable gift to Youth on Course for the opportunity to see if they have what it takes to finish Racing the Sun. The non-profit, based out of Northern California, provides youth the opportunity to play rounds for “$5 or less” by paying subsidies to over 500 partner golf courses across the country. All proceeds from Racing the Sun go toward supporting initiatives for more than 20,000 Youth on Course members nationally. In addition to round subsidies, Youth on Course also funds college scholarships, internships and a growing caddie program for their members. Fans can track the team and the event by following Youth on Course on Twitter and Instagram (@yocgolf) as well as the hashtag #RacingTheSun. To learn more about Youth on Course, or to make a tax deductible charitable gift, please visit youthoncourse.org. The core purpose of Youth on Course is to provide youth with access to life-changing opportunities through golf. Members receive access to hundreds of courses for $5 or less, employment opportunities through the Caddie Academy and internship program, and college scholarships. Headquartered in Pebble Beach, Youth on Course began as the charitable arm of the Northern California Golf Association. In 2014, Youth on Course began partnering with state and regional golf associations to expand nationally, with the goal of providing access to affordable golf in all 50 states by 2020. British model with stunning features joins the Q Models brigade.